Our chefs know all secrets of aromatic shish kebab and first-class barbecue. Grilling meat is a pleasure when cut and marinated by professionals. 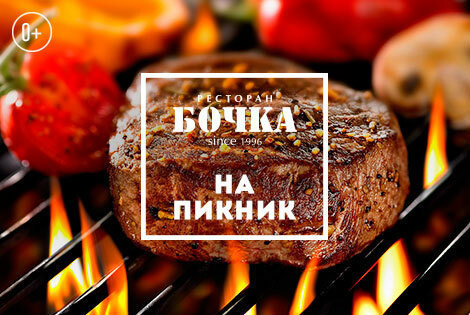 Meat for BBQ and shish kebabs, steaks, vegetables for grill, fish and seafood, refreshing home-made lemonade, mors and mead — here #vbochke we have what it takes for an excellent picnic! A handy fridge-to-go lunch bag for free with all take-away orders.